Bed Buddy is easy to use and provide penetrating heat for sore muscles, aches and pains. 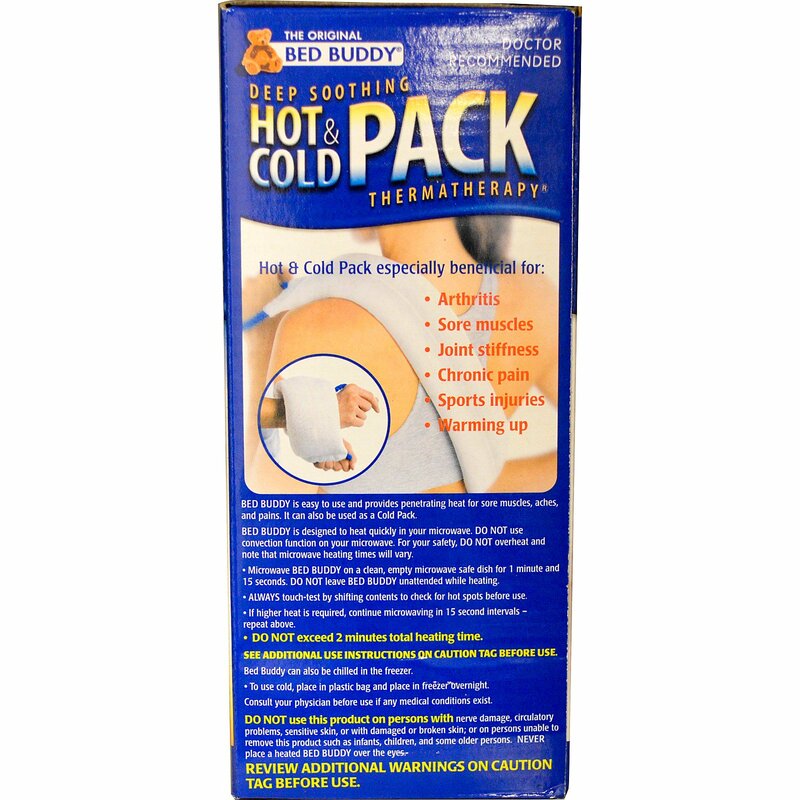 It can also use as a Cold Pack. Microwave Bed Buddy on a clean, empty microwave safe dish for 1 minute and 15 seconds. Do not leave Bed Buddy unattended while heating. Always touch-test by shifting contents to check for hot spots before use. If higher heat is required, continue microwaving in 15 second intervals - repeat above. Do not exceed 2 minutes total heat time. See additional use instruction on caution tag before use. Bed Buddy can also be chilled in the freezer. Review caution label before use. 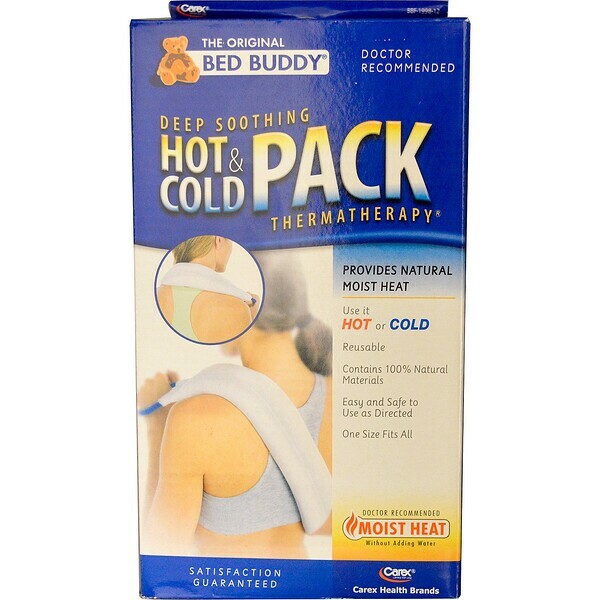 Do not remove caution label from The Original Bed Buddy Hot & Cold Pack. Consult your physician before use if any medical condition exists. Do not use this product on persons with nerve damaged, circulatory problems, sensitive skin, or with damaged or broken skin; or on persons unable to remove this product such as infants, children, and some older persons. Never place a heated Bed Buddy over the eyes. Review additional warnings on caution tag before use.